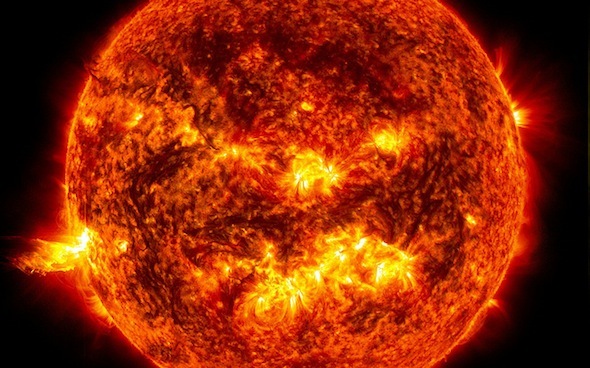 Nuclear fusion could provide virtually unlimited amounts of energy for the world. But the problem of harnessing fusion reactions for practical applications has been an elusive one for decades, never progressing beyond the experimental stage—until now. The current state of the art in fusion reactors, the International Thermonuclear Experimental Reactor (ITER), now under construction, is not expected to be online until the late 2020s. Aviation Week’s report states that the ITER, with a power output of 500 megawatts, will cost an estimated $50 billion, will measure around 100 feet high, and weigh 23,000 tons. Lockheed’s CFR, by comparison, will generate around 100 megawatts, but fit into a transportable unit measuring 23 x 43 feet. Fuel for the CFR is plentiful. It runs on deuterium and tritium. Deuterium is derived from seawater, and tritium is obtained from lithium in a breeding reactor. Although the tritium is radioactive, you don’t need much of it to run the reactor, which means there’s no risk of a nuclear meltdown. Unlike current nuclear reactors that operate using nuclear fission, fusion reactors don’t generate radioactive waste. Once a CFR fusion reactor reaches the end of its useful life, users can dispose of its radioactive parts much as they dispose of medical waste today. Lockheed Martin plans to have a working CFR prototype in five years, and a full production unit in 10. BRUNSWICK, Maine—In September students at Bowdoin College in Brunswick, Maine, walked and biked past groves of evergreen trees and the Mr. Suds laundromat to a Bible study meeting in a Victorian house on the edge of campus. This was the first meeting of the newly named Christian Fellowship at Bowdoin College, which for the past 40 years had gone by the name Bowdoin Christian Fellowship. That slight change in word order signifies a big change in the InterVarsity chapter’s status: It is no longer a recognized student group. 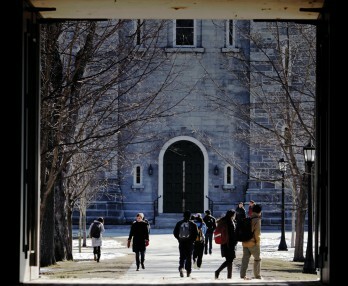 Last year, Bowdoin College changed its rules to forbid student groups from discriminating on the basis of religion in their membership and leadership.